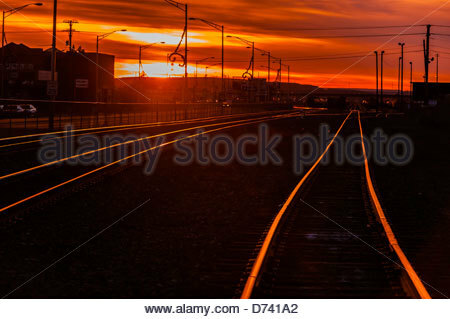 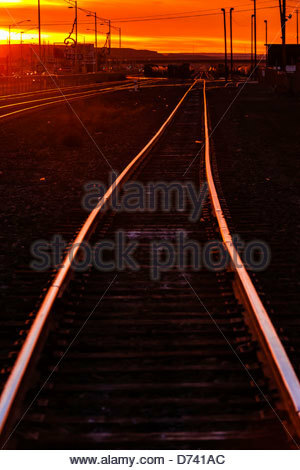 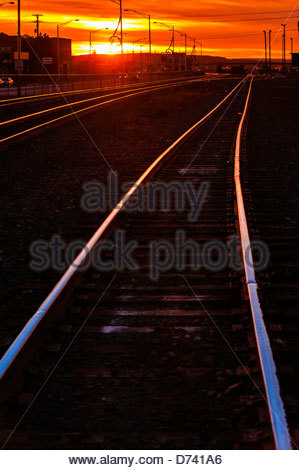 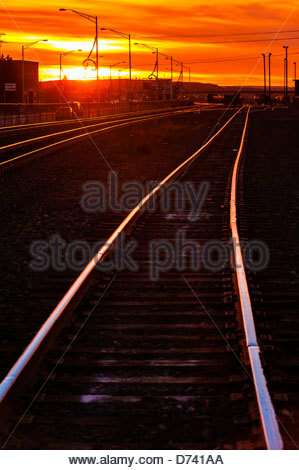 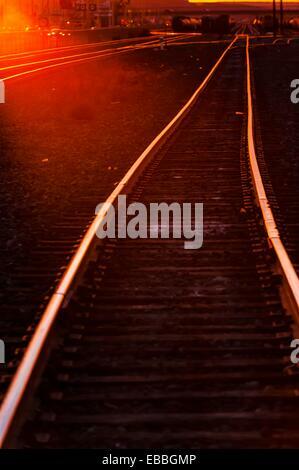 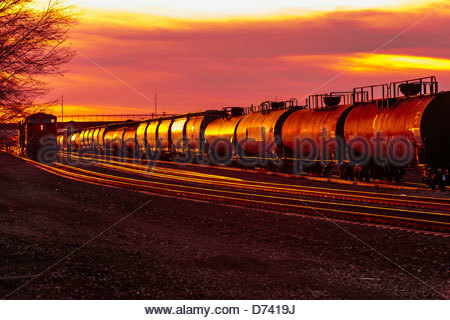 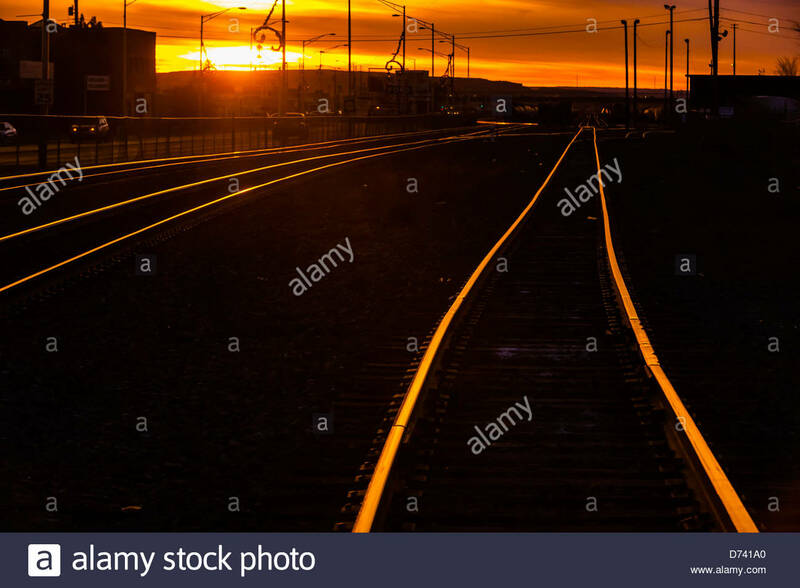 Train tracks at sunset, Gallup, New Mexico USA. 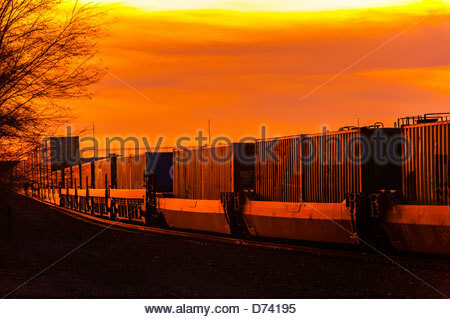 A freight train carrying contrainers, near Gallup, New Mexico USA. 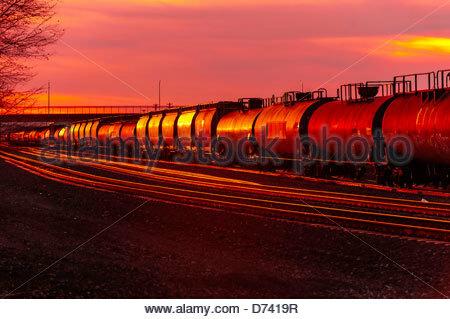 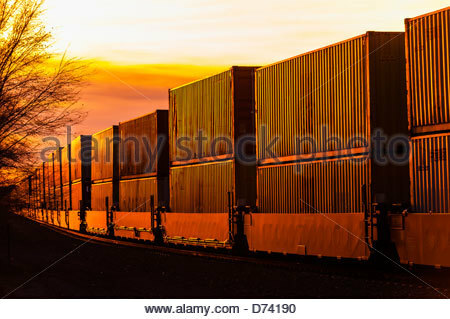 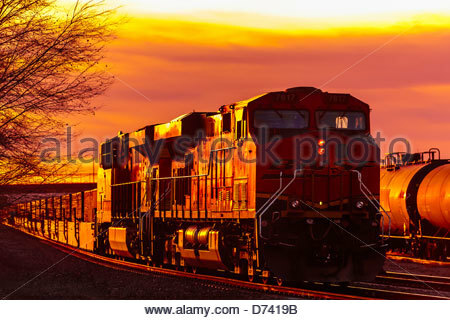 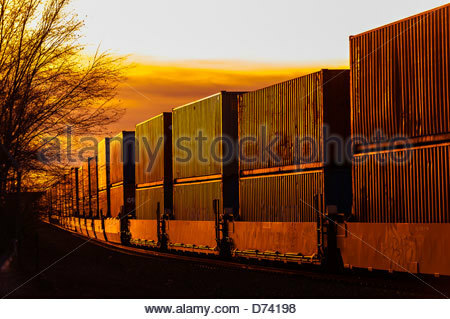 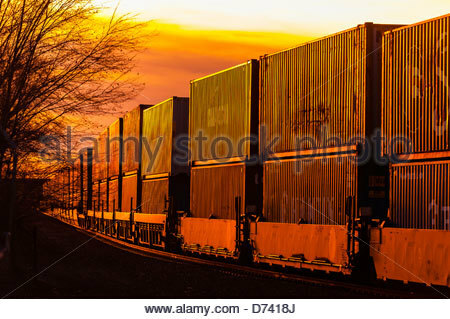 Freight trains, Gallup, New Mexico USA.